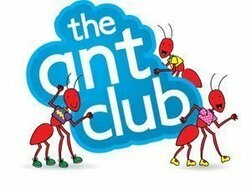 The Ant Club is the extended offer for primary schools, aimed at pupils in both reception and Year 1 classes. 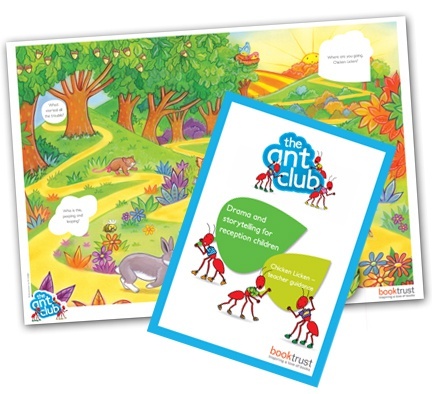 The Ant Club is a programme providing free resources for reception and Year 1 classes designed to inspire,boost skills and build confidence.The printed and online resources include rhyme, poetry, drama and creative texts to support work with children and parents around communication, language and literacy. Accompanying Booktrust recommended reading lists for EYFS and KS1 are released each term.Participating schools will be sent a new package of resources every term, containing a set of materials for each reception and Year 1 class. The Ant Club is achieved through public private partnerships, delivered by Book Trust, and supported by the Department for Education and children’s publishers. Information for parents/carers whose children are currently taking part in Ant Club activities through their school The Ant Club is a programme offered to selected primary schools providing free resources for reception and Year 1 classes.These specially developed materials are designed to complement the curriculum and to engage children, teachers and parents alike. Participating schools receive a new package of resources every term, containing a set of materials for each reception and Year 1 class. The resources are flexible so every child should be able to enjoy and learn through the Ant Club. Here are details of the resources your child may bring home or be talking about in the autumn term. 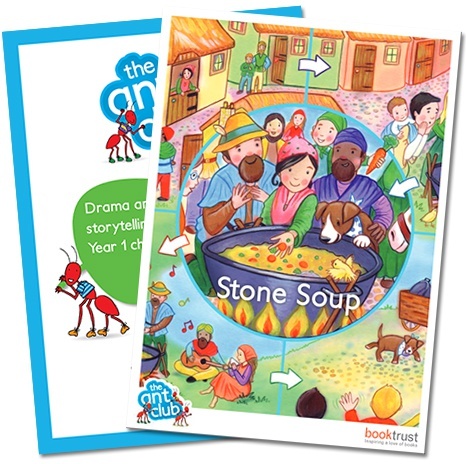 For Year 1 in the spring term – children will be looking at Stories for Drama based on the Stone Soup story. Providing a range of drama based activities, this resource is designed to inspire, boost skills and build confidence in your Year 1 children. Your child’s school will receive hard copies of all the resources and they may be sent home with the children. Reception-aged children will also recieve a Stories for Drama resource in the spring term based on the Chicken Licken story. Providing a range of drama based activities, this resource is designed to inspire, boost skills and build confidence in your reception children. The resource, based on the classic children’s tale Chicken Licken, is designed to encourage teachers, pupils and parents to engage in and enjoy storytelling through reading and drama.